Vegan Runner Eats » Traveling » Beyond Seattle: Exploring Fidalgo Island, Deception Pass and Whidbey Island. « Adventures in Seattle, Wa., and Beyond. Pike Place Market. Sabra’s Mediterranean Food. As our trip to Seattle, WA area is coming to an end, I’m going to continue sharing our experiences in this beautiful part of the country. Today my story is about exploring Fidalgo and Whidbey islands in the Puget Sound to the north of Seattle. Here’s one thing that I love about this area: you’ve got a large, eclectic city booming with activity, but if you drive just 10-20 minutes outside of it, you’ll find yourself in the heart of the wild country where you can spend hours enjoying gorgeous views and participating in all kinds of outdoorsy activities. Mountain passes, waterfalls, state parks, ferry rides from island to island – I could never get tired of this! It comes as no surprise that a city with such beautiful surroundings sparked creativity in so many people and gave the world Nirvana and Pearl Jam, as well as Microsoft, Starbucks and Amazon. In the course of a couple weekends, we took trips to Fidalgo and Whidbey Islands in Puget Sound. There are lots of big and little islands in the Puget Sound, and a well-tuned system of ferries (or bridges) lets you get to them from the mainland. 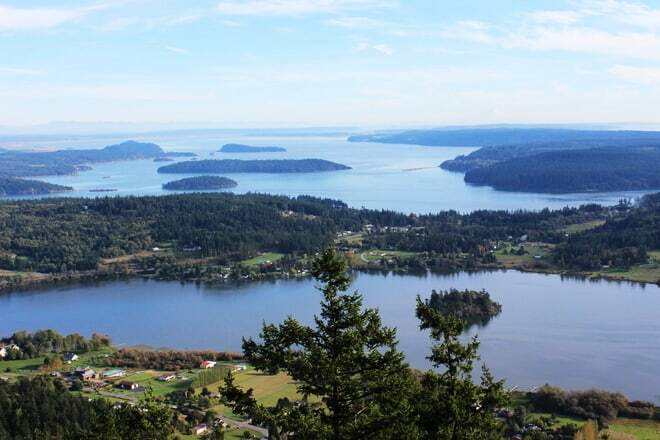 Fidalgo Island is located about 1.5 hours’ drive north from Seattle in Puget Sound. To get there, we drove from our hotel to the north of Seattle, and spent the day exploring the city of Anacortes and enjoying the views from its highest point, Mt. Erie, and driving to the Deception Pass between Fidalgo and Whidbey islands. Mt. Erie opened to us beautiful views of the island’s surroundings. It was also a clear day, so we were able to see the majestic Mt. Rainier and Mt. Baker – both active volcanoes! Another portion of breathtaking views awaited us at Deception Pass. This narrow strait between Fidalgo and Whidbey islands has very strong currents. 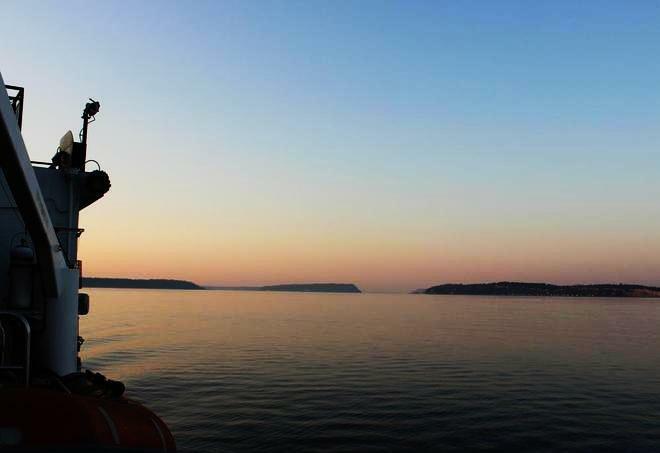 Here’s how the pass got its name: the original explorers of the area failed to find the pass during their first trip around Whidbey Island in 1792, and assumed that Whidbey and Fidalgo islands were a part of a peninsula attached to the mainland. Shortly after their first trip, they were able to find the pass, thus naming it ‘Deception Passage’. 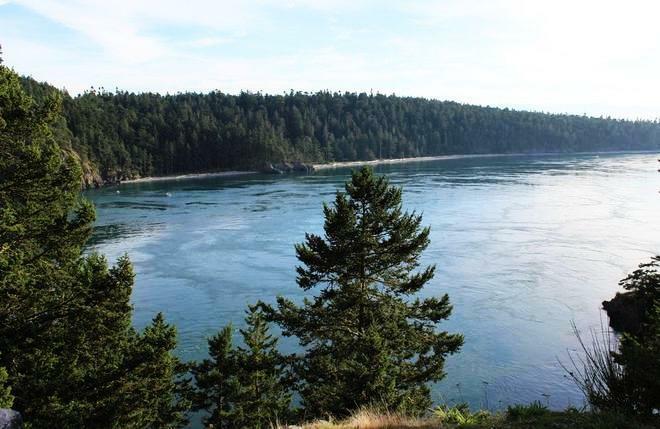 This small island known as Ben Ure Island (above) in the middle of Deception Pass is connected to Whidbey and Fidalgo islands by two bridges. 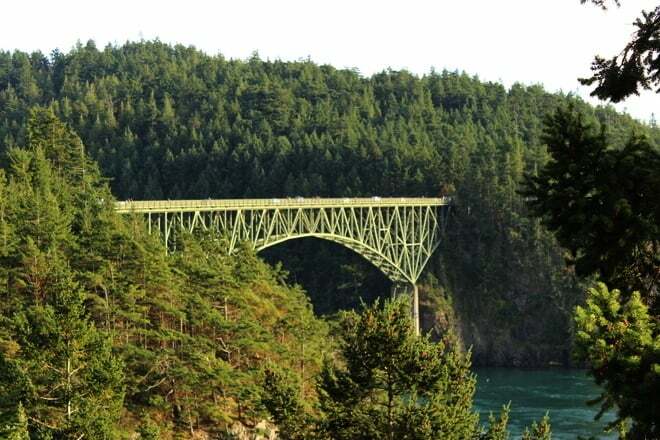 The bridges were built in 1935, and prior to that people used to take ferry rides to get from Whidbey to Fidalgo. Ben Ure island became infamous after smuggling activity that was happening here in 1880-s: local traffickers Ben Ure and Lawrence Kelly were hiding illegal Chinese laborers here from the US Customs Department. 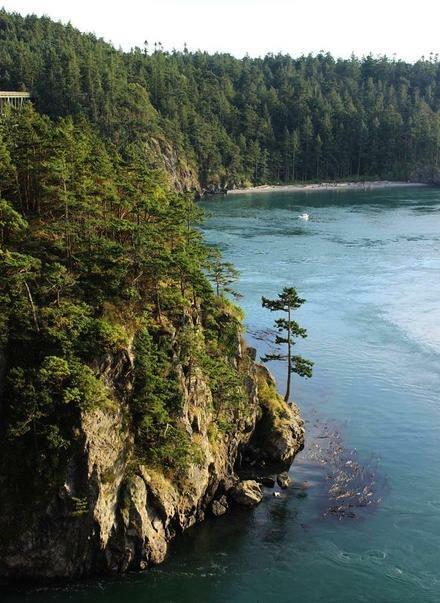 These days, the island and its surroundings are much more peaceful, with over 2 million tourists visiting Deception Pass State Park every year to enjoy the views. The following weekend, we took a trip to Whidbey Island – the largest island in Washington state. Getting there was an experience in itself: we took a ride on a car ferry! I’ve never been on a car ferry before (only passenger ferries), so this was fun! 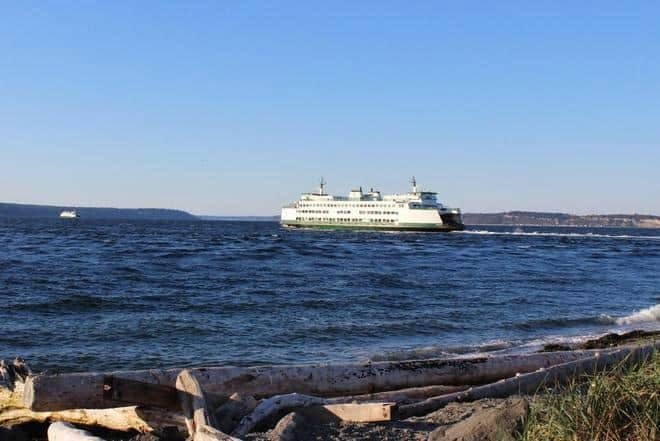 Ferries like the one below go between Mukilteo (on mainland) and Clinton (on Whidbey Island) every half an hour from early morning till after midnight. Whidbey Island pleasantly surprised us with its cozy, rural feel. The island has lots of farms and wineries, tall trees line both sides of the road wherever you go, and wildlife is easy to spot – a country paradise not even an hour away from Seattle! 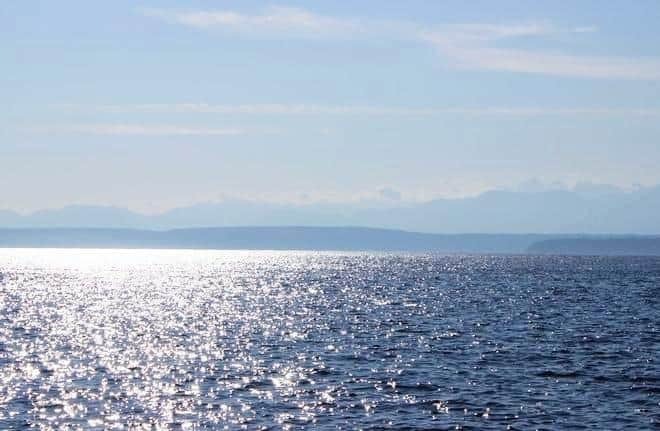 Plus, you’re never too far from the water on Whidbey Island, which is a nice addition what this place has to offer. Whenever I find myself surrounded by nature, I get an immediate boost of energy. It clears my mind and helps me gain a different perspective on things in my everyday life. To think of it: a giant tree like the one below was there long before I was born, and will probably still be there when I’m gone! For lunch, we stopped by an Asian restaurant called Basil Café in Langley. This place had a few vegetarian and vegan-friendly items on the menu that used tofu, like spring rolls, sweet and sour wings, soups and salads, stir fries, etc. I had a Vietnamese hot and sour soup (pic below), and Rob had a tofu pad thai. I’ve got to admit: I’ve never had so many Asian-style soups as I did during this trip! 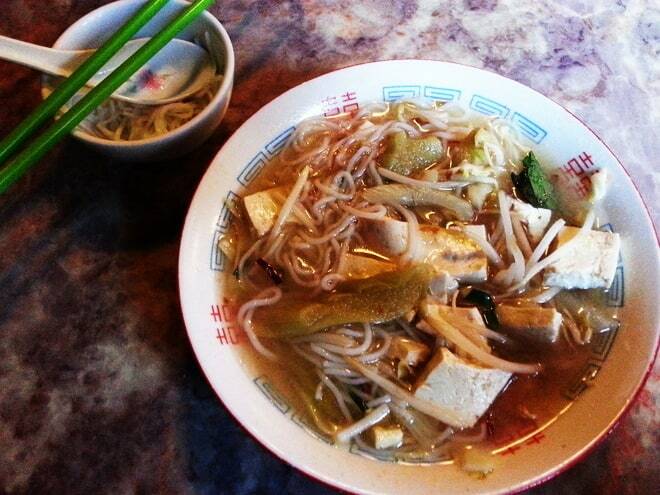 Pacific Northwest seems to be a destination place for people who love Vietnamese pho – a soup that consists of broth, rice noodles, herbs and added protein like meat or tofu. All of the pho bowls I consumed have inspired me to experiment with making my own pho when I get back home – who knows, maybe that will be a success! Provided that I find all of the right ingredients, of course. After cruising around the island for some time, we stopped by a little town called Langley. It had a very neat downtown area with a number of little shops and restaurants overlooking the waters of Saratoga Passage and the nearby Camano Island. As it turns out, Langley hosts a number of quirky events and festivals throughout the year, among them Mystery Weekend in February, when locals participate in a scavenger hunt for prizes, and Djangofest in September, which is a gypsy jazz music festival. 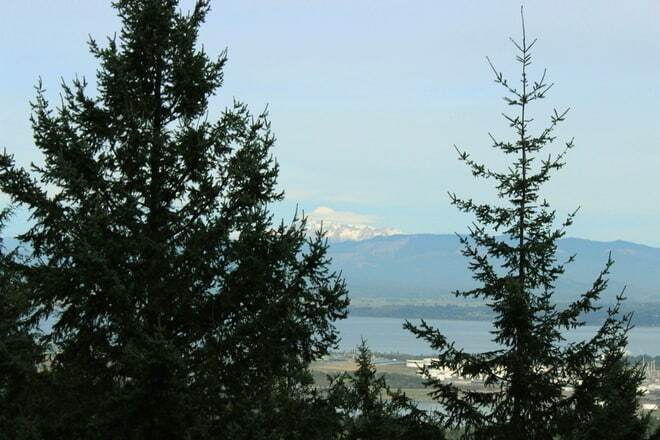 There was no events scheduled for the weekend we were visiting Langley, so we just walked around and enjoyed the views. All in all, we had a great time exploring Fidalgo and Whidbey islands in Washington’s Puget Sound. Hope there will be another chance for us to come back here! Tagged Seattle, traveling, vegan lunch. Bookmark the permalink.